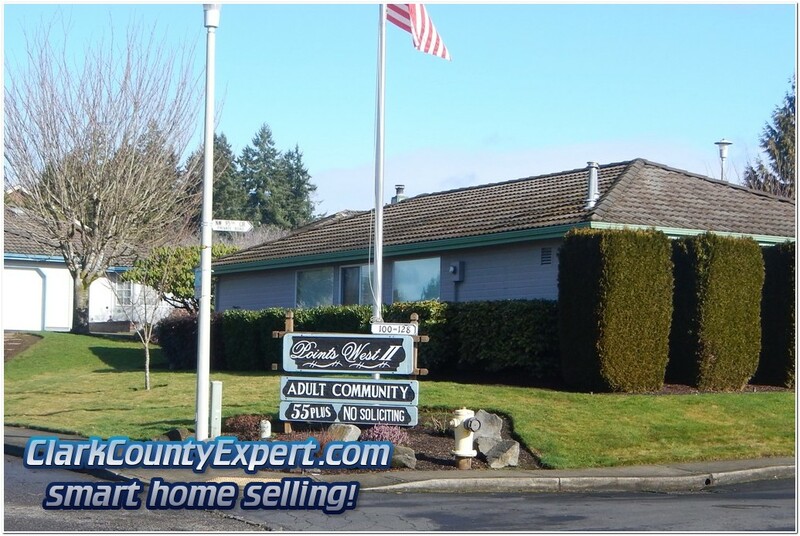 Looking for a Vancouver Washington Senior 55+ Residential Community where you Own Your Home? Then you'll want to check this page for homes for sale located in Points West. This community was built approximately between the years 1988 to 1992. Being a small community, at any one time there may not be any available for sale. There is a Clubhouse and a RV storage area included in the monthly dues (landscaping is included in the dues as well). The Points West is located in west Hazel Dell, with easy access to I-5 just a few blocks to the east (99th St. Interchange), and and not much farther to several grocery stores and numeruous other shops. If this is a location you want us to alert you to any new listings, please contact us and we'll have a custom search set up for you! PS - if you'd like to see more 55+ homes please visit our Senior 55+ page which includes Fairway Village. Points West, Senior 55+ Homes in Hazel Dell. Adamas Vancouver WA Brokers Kathryn Alexander and John Slocum.